Your donations are elegible for 50% tax relief under section 80G of the income tax act, 1961. For years, the Greater One Horned Rhinoceros or Indian rhino has been carelessly slaughtered & poached for its horn. Poaching is the primary reason for its declining population, along with continuous habitat loss. 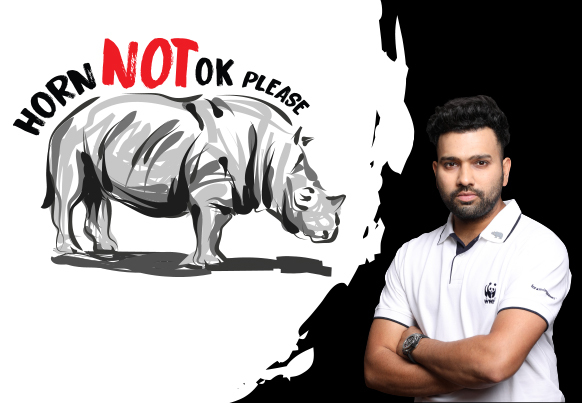 The Indian rhino has been labelled as a vulnerable species by the International Union for Conservation of Nature (IUCN). - Translocations: Since most Indian rhinos now live in Kaziranga, we move rhinos back to some parts of their historical ranges so they can start new breeding populations and increase their number. - Indian Rhino Vision 2020 in Assam: we work with the Government of Assam and other partners to implement the Indian Rhino Vision 2020 to increase the population of rhinos in India from about 2500 currently, to 3000. DONATE TODAY BECAUSE THE COST OF NOT ACTING IS MUCH HIGHER. *All fields are required to be filled. The mentioned asks are to illustrate the impact your donation can make towards our conservation initiatives. Based on pressing priorities, WWF- India may allocate donations received to other area/s where they are most needed.